Sunrise, Florida -IK Multimedia and Sonic Reality are pleased to announce the release of a new single from Simon Collins featuring, for the first time in his career a cover of a Genesis song paying tribute to his father Phil Collins’ work with the band. The song, “Keep it Dark” from the album “Abacab,” was chosen by Simon and co-producer Dave Kerzner of Sonic Reality. This modernized and futuristic version of the early 1980’s offbeat Genesis single, “Keep it Dark,” was created by Simon and Dave from the ground up using Dave’s cutting edge music software made with IK Multimedia and Sonic Reality. From virtual guitar amplifiers in products like AmpliTube and AmpliTube Jimi Hendrix™ to acoustic drums and other sounds from products such as SampleTank, Sonik Synth and Studiophonik, this track was made almost entirely inside the computer. 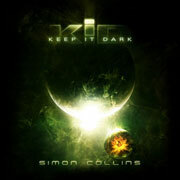 Simon Collins’ music is a fusion of pop, progressive rock and electronica and the song “Keep it Dark” has a theme that fits in with Simon’s fascination with space, science, mystery and the unknown. This version takes the song into darker sonic territory and uses IK software to weave rich complex textures with dimension and edge. IK Multimedia is a computer music technology company that offers a diverse range of affordable and easy-to-use music production tools with great sound quality and a realistic look and feel. With over half a million installations worldwide, the IK range has been adopted by musicians of every level, from beginners to professionals, to gain access to high-end, studio-quality gear from their computers. Sonic Reality is a soundware production company started in Los Angeles by Dave Kerzner in 1996. The company has provided sampled sounds for many popular keyboards from manufacturers such as Yamaha, Roland, M-Audio and Alesis, as well as for popular software instruments from companies such as IK Multimedia, Propellerheads, Cakewalk, Mackie, NI and many others. 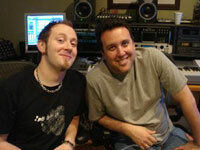 Having worked with artists such as Kevin Gilbert (Toy Matinee, Sheryl Crow), Crowded House, Shankar (Peter Gabriel) and collaborating with one of the top studios in the world, Ocean Way, Dave and Sonic Reality use their unique music industry experience to bring a diverse range of sounds and virtual instruments to the hands of musicians all over the world.